Since January 18th, visitors of 4 Temps and CNIT shopping centres who have lost an item while shopping have been able to use the application TROOV, a very innovative, totally digital, user-friendly and secure solution. 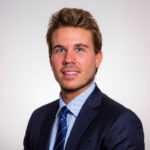 According to Mozy’s study, each person loses more than 75 euros worth of belongings per year and only 4% of these items end up being found by their owner. This is why TROOV decided to find a solution when launching, back in earl 2018, the first “meeting app” for lost items. In less than 30 seconds, a lost or found item can be reported on the platform. Before giving an item back, the platform requires one last step to make sure that it is the real owner, with a question on a detail that only he/she can know. 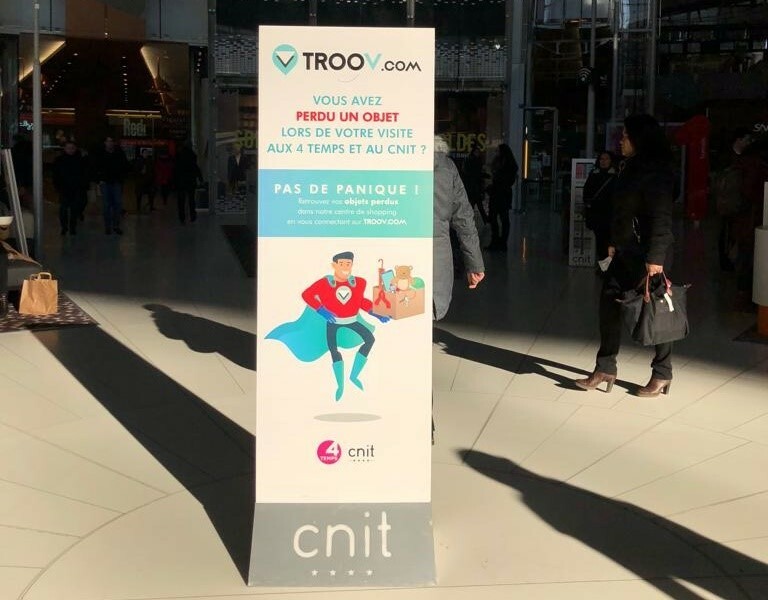 Since January, in the 2 shopping centres 4 Temps and CNIT located at La Défense, Paris, visitors have been able to enjoy this innovation: TROOV is currently in a phase of test until April. Implementing TROOV at Unibail-Rodamco-Westfield was a great challenge as we had no idea of our impact and the volume of lost items. We were pleased to realize that already day 1 we were able to help customers in this stressful event with amazing feedback. After one month we had more than 100 items reported lost and 25% given back, becoming a powerful loyalty tool for shopping centres! After the success of the pilot launched in the UGC cinema theatre at the 4 Temps, which enabled 70 people to recover their lost belongings, TROOV chose the 4 Temps and the CNIT to test its solution more widely. Among the lost & found objects, we can mention wallets, ID and other cards, jewels, luggage and accessories (gloves…). At the beginning of March, results were already encouraging: over 170 found objects had been reported on TROOV website by the centres’ hostesses. 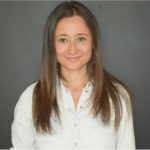 Besides, the match rate (between the number of objects reported “lost” and the number of objects given back to owners) has risen from 10% at the start of the pilot to 35%: the goal now to make the platform more efficient is to communicate on it on the different channels (the centres’ websites, social networks) in order to get visitors to know it exists. At the 4 Temps and the CNIT, we constantly look for innovative services allowing the improvement of customer experience and the quality of their journey. It is in this context that it became obvious for us to collaborate with TROOV, a very innovative concept. This test takes places in the Group’s shopping centres, a method usually applied by URW Link, the Group’s open innovation platform, that selects and allocates resources to the most promising and innovative ideas and start-ups to offer them a chance to grow within our shopping centres. The TROOV solution brings more satisfaction to visitors in the centres and is, thus, a good tool to enhance customer experience in our centres. If, at the end of the 3-month test phase, results are successful, a roll-out throughout other assets of the Group could be considered.